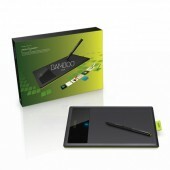 By combining multi-touch functionality and pen tablet technology in a single device, the Bamboo tablets provide a new, spontaneous and immediate way of using a computer. As soon as you think up a way to express yourself, the means are literally at your fingertips. 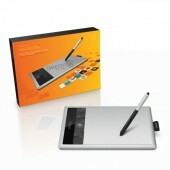 You can either use multi-touch (finger-based input) or the digital pen for more accuracy and precision. 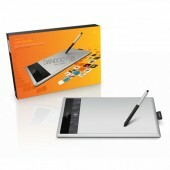 Alternating between the two input methods is quick and easy.Bamboo enables anyone to be creative. It is the perfect tool for self-expression when producing everyday documents, presentations and blogs, or when communicating with friends, colleagues and family. The range includes Bamboo Touch, Bamboo Pen, Bamboo pen & Touch and Bamboo Fun (small and medium). Choose your favourite – and step into a new era of inspiration. 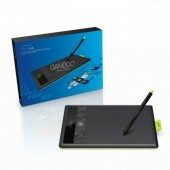 Bamboo Pen + Touch NEW! Bamboo Fun Pen + Touch (Small) NEW! 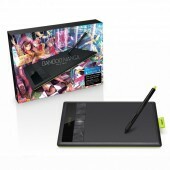 Bamboo Fun Pen + Touch (Medium) NEW!